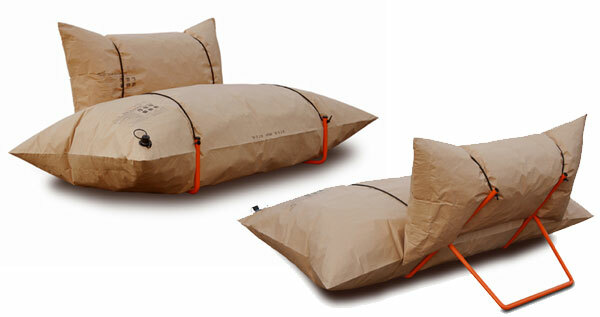 Made from 100% recycled paper dunnage bags with a metal rack and rubber straps. Easy to transport when flat and simple to inflate. The blown up bags are super durable with 2 layers of paper and one layer of plastic on the interior. Get your friends to customize it with markers and pens. Make sure you recycle it when finished!